Back in the autumn of 2016, The Dalesman hosted a gala dinner to celebrate the Yorkshire Awards, and attendees were invited to donate to charitable causes. 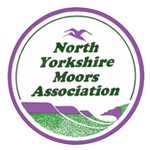 The Dalesman selected NYMA as one of the recipients, and we were delighted to be awarded our cheque at a recent ceremony at The Dalesman offices in Skipton. The £1500 we received is a great boost to our funds!